America has never felt more divided. But in the midst of all the acrimony comes one of the most promising movements in our country’s history. People of all races, faiths, and political persuasions are coming together to restore America's natural wealth: its ability to produce healthy foods. 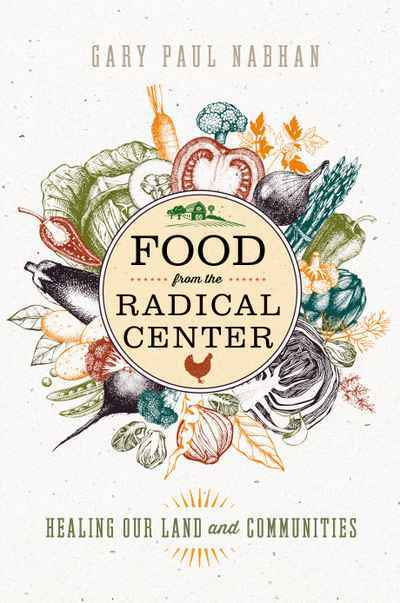 In Food from the Radical Center, Gary Nabhan tells the stories of diverse communities who are getting their hands dirty and bringing back North America's unique fare: bison, sturgeon, camas lilies, ancient grains, turkeys, and more. These efforts have united people from the left and right, rural and urban, faith-based and science-based, in game-changing collaborations. Their successes are extraordinary by any measure, whether economic, ecological, or social. In fact, the restoration of land and rare species has provided—dollar for dollar—one of the best returns on investment of any conservation initiative.